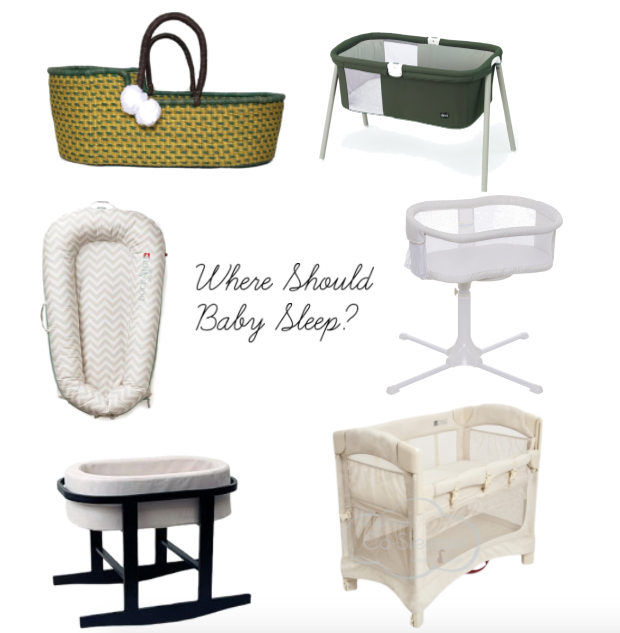 I thought I might do a follow up to my Most Used Registry Items post over on the Ergo Baby Blog. In this post I go beyond the registry and talk about the things that we felt we really needed, the items that we liked but were necessities (take it or leave it) and the things that were unnecessary for us. Since I have so much to say this is going to be (at least) a two part post. 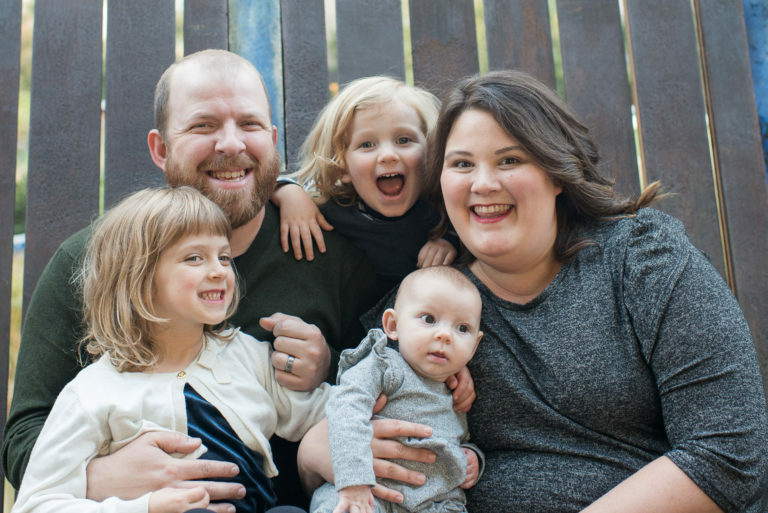 In this first post we will discuss clothes, sleeping, the nursery and diapering. NEEDED: Newborn and 0-3 Month Clothes- Surprise! You don’t have a 12lb baby and you will need to buy newborn clothes for your tiny 6lb 11oz baby. Edith wore mostly newborn clothes up until she was 2.5 months (8lbs 14oz) and around 2.5 months she moved to more 0-3 month clothes but at almost 4 months she still wears a few newborn items. That being said even if you have an 8lb baby you may want to pick up a few newborn items to start (but don’t get too many). TAKE IT OR LEAVE IT: 3-6 month Clothes- Edith just made it into 0-3 month clothes so I’m not sure when she will really fit into her 3-6 month clothes. We do occasionally dress her in 3-6 month as a last resort or just around the house because we have more 3-6 month than 0-3 month. UNNECESSARY: 6 month+ clothes- there is no way E is fitting into anything beyond 3-6 months for awhile. 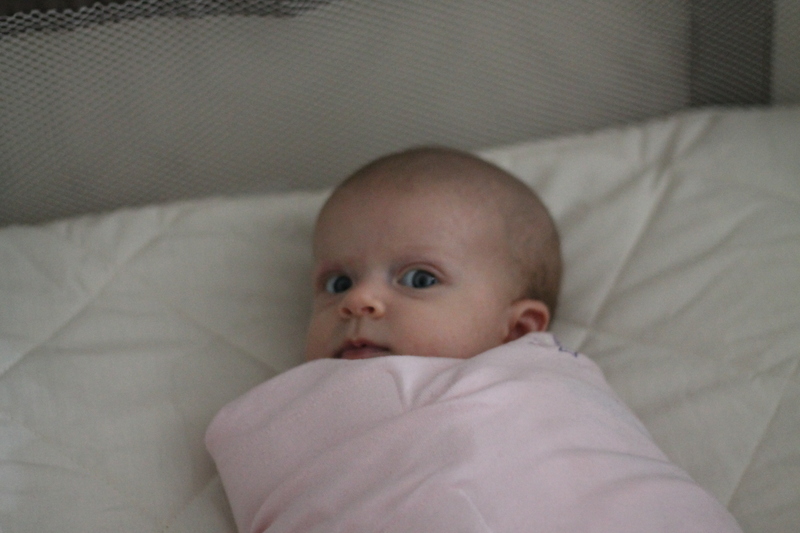 NEEDED: Sleepsacks and Swaddlers- When E first arrived home we swaddled her in our aden + anais muslin blankets, which I absolutely loved and they are one of our most favorite items that we purchased, however eventually houdini figured out how to get out of her swaddle waking herself up. That is when we turned to the Swaddleme wraps which were really great until E figured her way out of that one and so we decided to try a third option which has worked the best of us, the HALO sleepsack. The HALO sleepsack has worked best for us because it is easy, Edith is comfortable in it (she is able to move her legs which she likes) and it is super easy to swaddle her arms nice and tight. TAKE IT OR LEAVE IT: None. UNNECESSARY: White noise machine- We really had no need for a Sleep Sheep as it does absolutely nothing to soothe E. Unfortunately we received both the regular size and the travel sized one and they do nothing. However, if your baby does like white noise they are supposed to be great. NEEDED: Bureau and Changing Pad/Table-We put a changing bad on top of the bureau rather than have two separate items but they both are essential. Majority of the time we change E on her bad and we store her clothes and diapers in the bureau. NEEDED: Clothes Hamper– 100% necessary is a place to put baby’s dirty clothes. 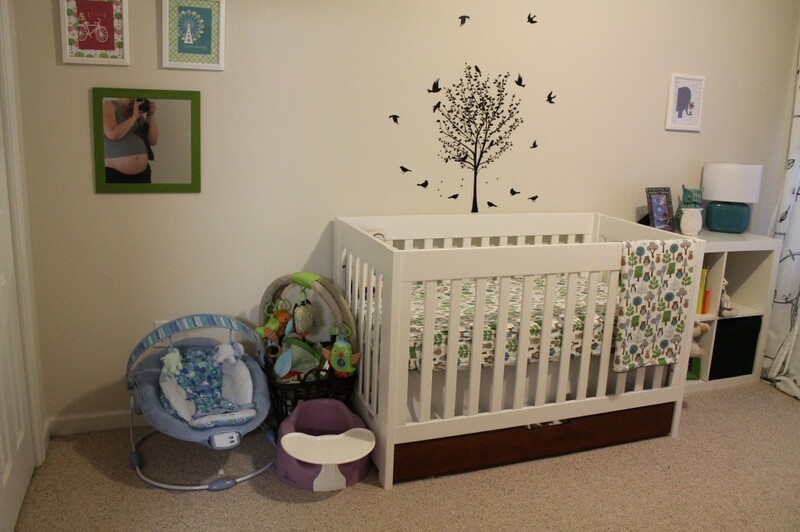 We bought this OXO one in pink and it is the perfect size and looks great in the nursery. NEEDED: DIM LIGHT- One of the best items we purchased was this light from Ikea. It is perfect for middle of the night or early morning diaper changes because it gives off enough light for us to change E but not enough to completely wake her up. TAKE IT OR LEAVE IT: Crib and Rocking Chair- We love both but our crib is used for holding unfolded laundry and the rocking chairis used maybe once or twice per week. These are both items that we would have wanted eventually but we could have done without them for the first 3 months. We are hoping to transition E to her crib over the next 4-6 weeks. UNNECESSARY: Video Monitor- We could have easily bought a video monitor but I know that Neil and I would have spent all of our time watching the monitor rather than taking advantage of E sleeping. We bought this $60 Angelcare monitor and it works great and is exactly what we need. I love that it tells you the temperature of the room as well. The only thing I wish we had was an extra nursery unit so we could have one in our bedroom and one in the nursery. NEEDED: Newborn Cloth Diapers- We invested in size 1 or 8-14lb cloth diapers and well Edith is super petite and most of those diapers still do not fit her. We ended up buying and were gifted a few BumGenius Newborn AIO’s which we are in love with and E still wears. We also bought 12 workhorse diapers and 2 newborn covers from Green Mountain Diapers which we like and still use as well. NEEDED: Wet/Dry Bags- These have been essential for cloth diapering. We have a large Bummis one, a large Planet Wise bag and a small Planet Wise bag. The Bummis bag is from a prefold kit that we purchased and we like it but I would have bought Planet Wise hanging wet/dry bag instead because I love the PW bags. 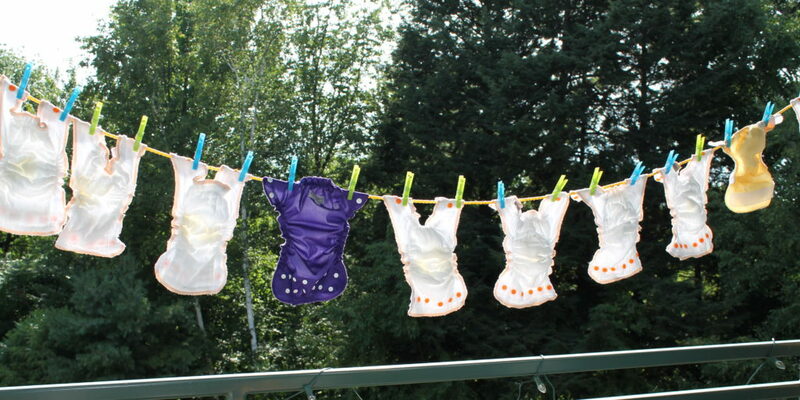 NEEDED: Disposable Diapers- As much as we would have liked to cloth diaper exclusively we have found that having disposables around is really helpful especially when we travel and at night. 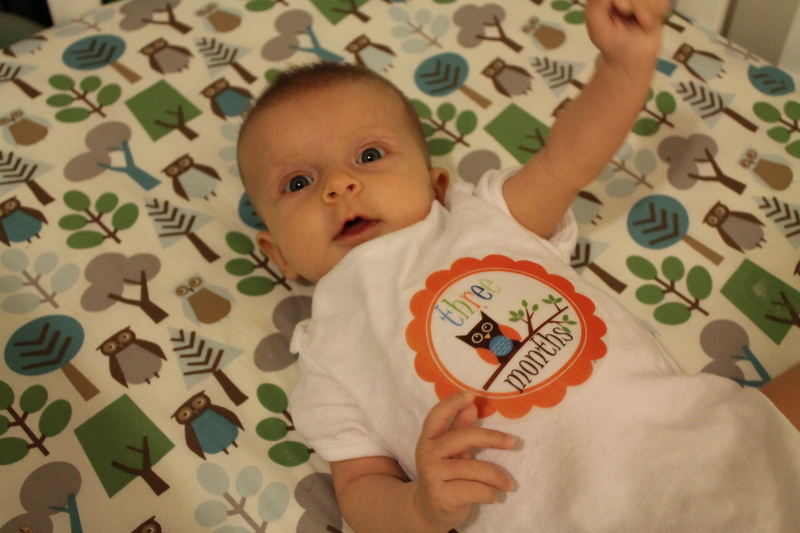 We also didn’t want to buy a ton of newborn sized cloth because it was hard to predict how long E would wear them (looking back now I would have bought more back in July). For disposables we love the Seventh Generation brand and used the newborn size until E was about 8.5lbs and then switched to the size 1, which she currently wears. NEEDED: Wipes both Disposable and Cloth- For the first 2 months we only used disposable wipes; our favorites are Seventh Generation and Elements Naturals. However note that the Seventh Generation brand in the box are awful and we have had 3 boxes which were all dried out, the travel packs are good though. We actually have come to prefer the Elements Naturals which unfortunately we can’t find around here but I can order them on Amazon so I think I will start doing that! Although we do still use disposables for the most part we have started to use cloth wipes at home only (looking at getting another wet/dry bag to travel with wet wipes) and I LOVE them. We use Thirsties cloth wipes and OsoCozy wipes and for cloth wipe juice we use BLAM! and it’s amazing. TAKE IT OR LEAVE IT AND UNNECESSARY: NONE. 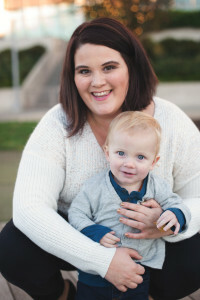 WISH WE HAD DONE: Cloth Diaper Trial- I am not sure who else besides Jillian’s Drawers offers this (I am sure there are others) but they have a program that costs only $10 to try a variety of cloth diapers including prefolds, hybrids and all-in-ones. I wish we had thought to do this at first (although we might try it soon anyways) because we ended up buying a prefold kit and haven’t used it at all because a. E is still too petite for the size we purchased and b. we just don’t love them after using hybrids and AIO’s. Yes prefolds are way cheaper but I love the ease of AIO’s. SUGGESTION: Buy Gently Used- We have recently started buying cloth diapers gently used from Jillian’s Drawers and it has been great. You can chose to buy excellent (no stains) or fair (has lots of stains) quality ones for a fraction of the cost of new ones. Q: What were your needs, unnecessary items and take it or leave it’s regarding clothes, the nursery and diapering?